The hotel owner was very friendly, including other staff. 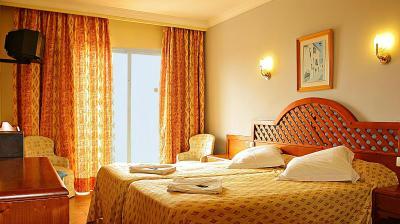 We actually stayes in Hotel Playa Blanca, because you have to do check-in in there. They put us there because there were not too many guests, so we don’t have to walk across the street for breakfast. I did not find single point to mention which is positive about the hotel. Please refer detailed feedback in the negatives. It was nice staying there. The rooms are too warm!!! Nice generous breakfast. Close to the sea. The balcony. Room service,changing towels. Great stay, excellent service, food was great and the environment was awesome. Close to beach. Was a good place to be. It’s at the perfect location, beach is 200m l, everywhere are shops and restaurants. Also the breakfast was good. Perfect location. Clean room. Nice pool. Tasty breakfast. Funny decoration :-) Great place for 1-3 night stay. At the hostel, each room comes with a desk and a TV. The private bathroom is equipped with a bath or shower. All rooms have a wardrobe. Hostal Beijuan offers a terrace. You can play table tennis at the accommodations, and bike hire is available. 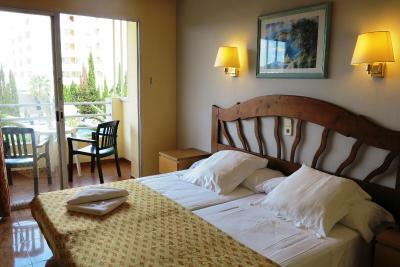 Alcudia is 24 mi from Hostal Beijuan. 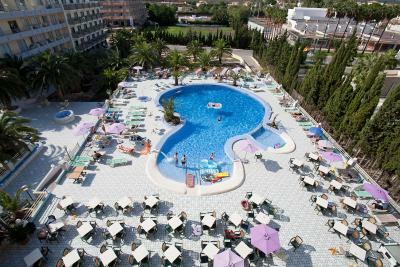 The nearest airport is Palma de Mallorca Airport, 34 mi from the hostel. When would you like to stay at Hostal Beijuan? Please note that for reservations with half board, the restauration service is offered at the Playa Blanca Hotel, located 164 feet away. House Rules Hostal Beijuan takes special requests – add in the next step! Hostal Beijuan accepts these cards and reserves the right to temporarily hold an amount prior to arrival. What you pay is what you get. It was clean and all but the beds were not comortable and the double bedroom had two small beds instead of a big one. 1.Water pressure in the bathroom was very poor. We could not have proper shower / bath. 2.Bathroom maintenance was very bad. 3.No lift, No Wifi, No Air Conditioning, Not even fan. (Lucky we booked only for one day otherwise i can imagine to write). It way warm and could not stay more than 15 minutes in the hotel during day after shower. Tough balcony is available to room, cant keep it open to get fresh air. 4.Check in has to be done in next hotel, tough nearby not good option. Long waiting. 5. Luckily we found car parking on the street but in normal season this would be tough. 6. Old room equipment, Old bathroom 7. Don´t get trap with Break fast included, it is another disaster. 8. On the day i have checked in i see rooms are free in first floor but he has allocated us in 3rd floor telling rooms are booked in first floor and second floor. (As we are young couple it was ok for us, but i really felt bad when he did the same thing to old people who were struggling to walk 3 floors with luggage). Conclusion : Only reason i have selected even after reading many negative reviews was, i need one night for sleep and it was economical. Even that one short night was a disaster. It was too war in the room! Please consitional air!!! Good breakfast, quality price ok. If you go in person instead of make a reservation here they give you a way better price! Malfunctioning toilette. Water pressurein the shower very poor. Very lively and quite noisy caraoke in the yard. Hotel is very old, there is no Wi-Fi or air condition. The personal of the hotel does not speak English even the owner (He call himself a BOSS) and He loves himself so much that he is putting his own picture on every poster on the corridors. He owns a few hotels in Mallorca. This hotel does not own a swimming pool or even Reception !!!! 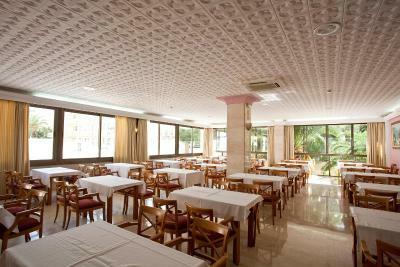 You have to use facilities in the hotel near "Playa Blanca". I'm really sorry to write this review but if someone is Thinking to book it please STAY AWAY. The hotel is doing shows and very loud karaoke at 11pm. it's not normal.... and when we needed help from them to book our transfer to the airport they did not care to help us ! we did not know what to do so we ask different hotel that we thought was bigger and more modern and the staff speak perfect English and they Helped us ! 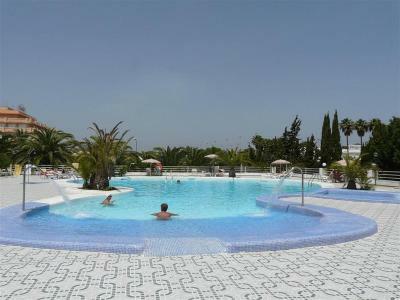 We where not even their guests (The hotel that I would recommend is (Playa Dorada). We where so annoyed about this stay in Beijuan/Playa Blanca .... and when you wanna go to the reception to ask about something there is no one there even when it was they are to lazy to help and they Don't care.... Honestly STAY AWAY !! No free WIFI. Even if I paid 4 Euros for 24 hours of wifi. But the speed and connection are totally not acceptable, it cannot even open a website! Not good check-in process. The check in is in another hotel and it is super slow. I waited at least 15 min. The room is not clean. I even found 2 bugs in my room. The facility is really old. The shower is too weak and old as hell. Secondary parking lot is covered with small stones. That's a really bad idea because it's almost miracle to get there with city car without getting stuck. 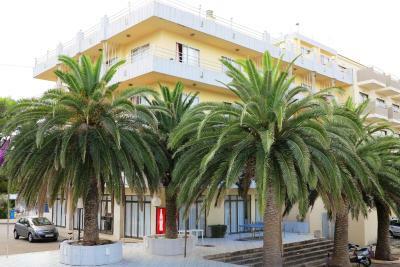 Close to a fantastic beach, bars shops and restaurants nearby!